Doctor Doom is possibly the greatest villain in the Marvel Universe. First appearing in Fantastic Four #5 (1962), Doom has been the major opponent of the Fantastic Four, considering Reed Richards his greatest adversary. He has also battled almost every major Marvel hero and has almost conquered the world on more than one occasion. As the ruler of his own small country of Latveria, Doom is always plotting, waiting for the opportunity to seize the world. Sculpted by Randy Bowen, this statue stands approximately 14" tall. There is also a mini version of this statue available. 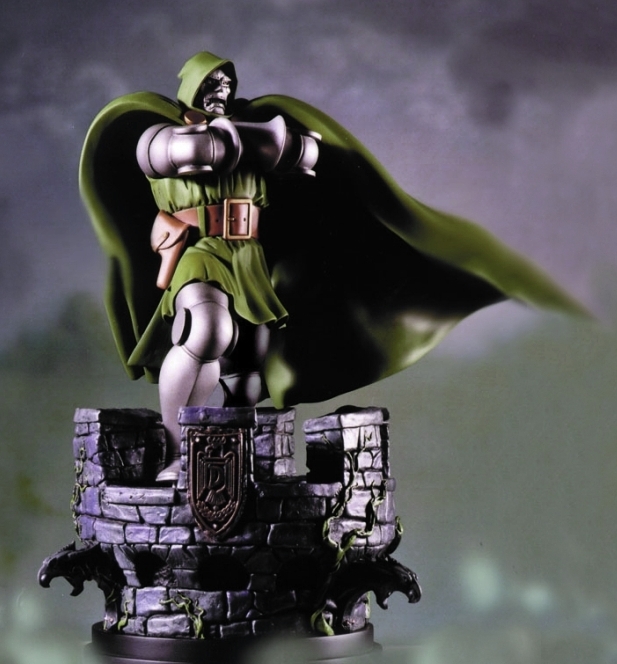 Add Doctor Doom to your Marvel statue collection today!